 Log In needed Used downhill and x-country ski boots and skis - MANY sizes and great prices!!! 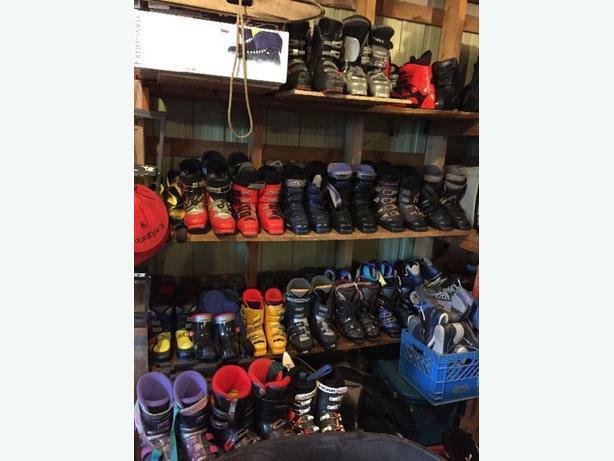 I have heaps of downhill ski boots and x-country boots in many sizes and great condition for excellent prices. I also have some downhill skis and x-country skis and poles as well. Don't throw your money away on new stuff before checking out what I have. Get ready for the season and SAVE hundreds of dollars!!! Send me your shoe size or ski boot size if you are certain and ski length desired and I will get back to with what I have and a price. I am all over the valley from Pembroke to Arnprior so can often meet you to fit or you can come try stuff on at my place.